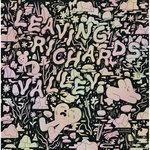 "The definitive course in comics narrative" continues, as Mastering Comics ventures deeper into the wilderness of formal comics instruction, widening and extending the trail blazed by Drawing Words & Writing Pictures. This horizontally formatted volume follows the same textbookish format as its precursor; this time around divided into eleven lessons, rather than 15, and at 318 pages is a tad heftier. This works out to lessons that are on average 50% longer and more in depth. In other words, Mastering Comics is a 200 level class to DW&WP's 100 level (although the authors clearly state that DW&WP is not a prerequisite for MC). Covered here are: building stories with words and pictures; getting a handle on perspective and styles; mastering the basics of lettering, inking, tones and coloring – by hand and on computer; and a look at the business side of things with a crash-course in self-publishing. 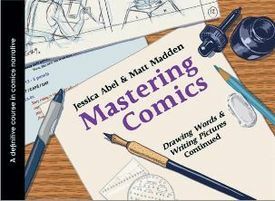 This book will surely be used in many a classroom, and the companion website – http://www.dw-wp.com – provides a host of support for all – especially those flying solo; which makes Mastering Comics all that much more of an outstanding value for anyone interested in gaining proficiency in comics.